The following article describes how to modify attribute values during the import & export processes. Below, we not only shed light on the corresponding features but also provide several ways to simplify the appropriate procedures as much as possible. Let’s take a look at the details. It is not a secret that Magento 2 doesn’t let you import/export attributes, but you can quickly get the missing functionality by installing the Improved Import & Export Magento 2 extension. The module enables import of attributes, attribute sets, and attribute values via CSV, XML, JSON, ODS, and Excel files. The same is about export procedures. In addition to the plane import/export processes, the module lets you modify attribute values making them more suitable for your e-commerce needs. And it is not mapping: attribute values modification is an entirely different procedure that dramatically extends the plugin’s existing attribute import/export flexibility. For instance, the attribute value you’d like to change is “red”. You want to change it to “dark-red” for all products. The Improved Import & Export Magento 2 extension lets you create a rule that adds “dark” to all “red” attribute values. Thus, you can change the attribute value for thousands of products within just a few clicks. Affixation – add a prefix, suffix to SKU and other attributes. Specify conditions to attach text to the beginning and end of a value. RegEx – Manipulate the values in the source file using RegEx. What are the positive aspects of this feature? You don’t need to spend weeks changing attribute values manually. It is possible to avoid multiple mistakes caused by manual editing. You do everything within an intuitive interface. If installing a third-party extension is a drawback for you than you know one. If not, we don’t know what to discuss here. As mentioned above, you can always change attributes manually as an alternative approach to the one described above, but get ready to waste tons of time and face mistakes caused by the human factor multiplied by the dull repetitive routine. Thus, we recommend you to use the Improved Import & Export Extension instead. New attributes on the fly. Attribute option values utilizing a store view as a basis. And don’t forget about the corresponding export options. You can even leverage export processes by specific attribute sets. Let’s proceed to other features since there are many more exciting options we’d like to draw your attention to. For further information, proceed to the official manual of the Improved Import & Export extension here: Product attributes import. You will find out how to compose a new attribute and see the attribute value reference table explained. The Improved Import & Export Magento 2 extension extends the default support for file formats. While Magento relies on CSV as its core data transfer standard and multiple third-party extensions add XML to the game, our plugin does a much better job. In addition to CSV and XML, the Improved Import & Export Magento 2 module allows importing attributes via JSON, ODS, and Excel files. The same is about export processes. You can freely leverage the same standards for transferring data between your e-commerce store and external systems. And there is no need to convert XML, JSON, ODS, or Excel files to CSV to import attributes or other entities to your store. At the same time, you can create output that is more suitable for the needs of an external platform by exporting attributes or other data via one of the formats mentioned above. FTP/SFTP. This file source provides two options. First of all, you can import/export attribute data files from/to your local server. Of course, this option is not suitable for all integration so that we’ve decided to extend it with the support for remote servers. Use one to transfer data between your e-commerce store and an external platform. Dropbox. A Dropbox account can be leveraged for the same purposes as well. Freely transfer attributes, attribute sets, and attribute values between two systems using it. URL. 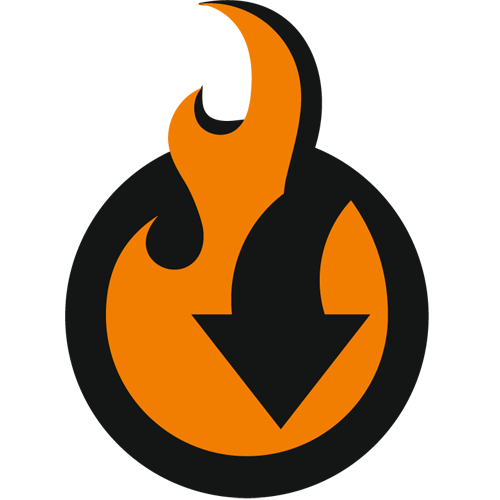 Direct URL uploads are another essential feature of the extension. You can import attribute data via a direct link. Note that all compressed data is extracted automatically during the import procedure. Another way to avoid files is represented with the SOAP API, REST API, and GraphQL API integrations. The Improved Import & Export Magento 2 extension lets you create a connection between your Magento 2 store and an external system using one of these standards. Below, you will find core usability improvements of the extension. We describe two important aspects of the Improved Import & Export Magento 2 extension: Mapping and Scheduling. Let’s take a look at the first one. Unfortunately, you cannot just take attributes of one system and move them to Magento 2. Since different platforms use different data standards, the direct connection is impossible. However, you can solve the problem in two ways. The default solution is based on manual data file editing. You have to spend hours modifying attributes of the external system to make them suitable for the requirements of Magento 2. You not only spend lots of time but can also make mistakes since this routine requires extra concentration. Thus, it is necessary to spend even more time looking for errors. And don’t forget that the number of product attributes may be vast so that you’ll need weeks to edit all of them and weeks to find possible mistakes. Luckily, there is a more efficient solution represented in the Improved Import & Export Magento 2 extension. With the module’s convenient mapping interface, you can match any third-party attributes to Magento 2 attributes without headaches. A user-friendly tool is available right in the Magento admin so that you don’t need to edit data files manually. It is also worth mentioning that the necessity to repeat data files editing is eliminated. The Improved Import & Export Magento 2 module lets you create individual mapping schemes that serve corresponding integrations during further updates. Please, contact our support regarding mapping presets for your specific business case. Leave your requests here: Firebear Help Center. Usually, you don’t need to import/export attributes regularly so that scheduling is not necessary for this type of data transfers, but you can leverage it in case of other updates. With the Improved Import & Export extension, you can create any custom schedule since the module supports cron updates. Neither the default Magento tools nor most third-party extensions let you automate the process of import/export so that it is a substantial competitive advantage of our module as well as an essential usability improvement. You can create any custom schedule via the standard cron syntax. Configure update time that is most suitable for your e-commerce needs. If you don’t want to deal with customizations, feel free to select one of the predefined intervals. The Improved Import & Export Magento 2 module lets you customize them if necessary.